Yes, we do! If you want to try the few words that you know, it is always very appreciated by the locals, but your guides will be versed in both English (our tours are run in English) and whichever language is used where you are cycling. Cc wants you to enjoy the landscape, people and culture as much as we do and strive to make your 2 wheel trip a memorable experience. What is a Day in the Life of Cycling Country? Now, we all know from life there are never typical days but what we can say is that each day on a Cycling Country tour is planned to be filled with as much as possible for you to enjoy. That could mean enjoying a feast of fresh goat´s cheese, almonds picked off the tree roadside, lovely views and awe inspiring vistas, lung filling fresh air and exercise (that means “some climbs”! ), a good laugh, being shown the curious, the quirky and the fascinating about each place visited and relaxing in a welcoming place to lay your head at the end of the day. When that end of the day comes… You’re only here for a short time, beauty sleep is important as is taking in as much of the country as you can, which is why we chose our hotels carefully, providing you with friendly and centrally located lodgings. 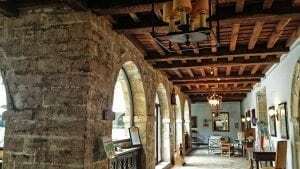 Many hotels are found in historical buildings and are spots you can take a safe ramble from and see some sights before settling down for some Zzzzzzzzs. See each tour section for a gallery of its hotels. HOW IN SHAPE DO I HAVE TO BE? If you have a good level of fitness consistent and ongoing and an active life-style then you should be fine. It is not a race, you have all day and taking your time to enjoy the scenery and traverse the landscape is exactly what our tours are all about. Unless you are on a sports tour which is a little more about doing the Miles of course! Our routes are also graded from Easy Going to Challenging, so do expect hills and longer days on the harder routes. 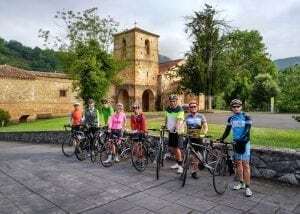 For our All Levels tours we recognise each cyclist has different experience and fitness, thus days are planned so the route is anywhere from 25 – 75 km and those feeling more energetic can choose to cycle more on most days. Our guides are also around to ride with those keener to add on more miles or we can provide some loop ideas / notes… A good holiday option for couples or friends with different riding abilities. We also have an ebike option which helps even up those abilities too! For all our tours, we recommend on road training rides beforehand. Please do ask us if you have any questions or are unsure of the grade of each tour – we have years of experience in helping you choose the cycle tour that is right for you. Our biking options depend on the difficulty level of the tour. For tours rated Easy, travellers can expect to bike between 35-40 km. For Moderate vacations, expect to bike 40-60 km daily with hills. And for Challenging rated tours, expect to spend 60-75 km very hilly landscape on your bike. Most days will include a number of mileage options, and our support van is always available on fully guided and supported tours. Most of our guided trips are guaranteed to run with just two people booked on a tour. For all other tours, an additional supplement may be required to run the tour if the minimum number of guests is not met. We try to give you the best experience and cycling we can and this means top notch accommodation, food, bikes and guides! We spend a lot of time on preparing these tours to be as excellent as they can be. Check Trip Details for the trip you are interested in for exact full details or just ask us! SUNSHINE OR SNOW - WHAT IS THE WEATHER LIKE? Southern Spain has one of the warmest and temperate climates in Europe throughout the year. 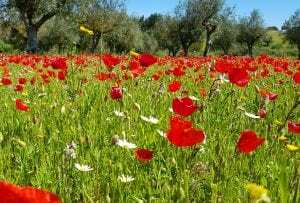 Our tours take in several different areas including the heights of the Sierra Nevada (snow covered from October until May) and rolling plains of Cordoba and Seville. Our schedule tours are in the temperate part of the year – spring and autumn – when there are many sunny days and daytime temperatures are of high to low 20s with cooler evenings (although we ride all year round). This holds true with Portugal´s Alentejo region which can be warm in the summer months as well. England, Northern Spain and France are green for a reason, and a lovely lush change from Southern Iberia – summer is the time to go! HOW CAN I FIND OUT ABOUT OTHER GUEST´S EXPERIENCES? Our Facebook Page and Trip Advisor are great resources for information, photos and other Cycling Country traveler experiences. ARE NON-CYCLISTS WELCOME ON YOUR TOURS? Of course! The more the merrier. Travellers with companions who prefer not to cycle can still experience our favourite destinations in CC style. As our tours are mainly supported, we can enable the non-cyclist to ride along with their companions or indeed, if they prefer, other options could be available to allow them to have their own self guided itinerary and meet up with the group at another point during the day. The price of the tour includes accommodation, meals, and other activities, so our price per person is generally the same for riders and non-riders with some exceptions. We have had great success on our Vuelta a España tours with riders and non-riders, where there is a complete “non-rider” itinerary separate from the riding, with a meet up in the VIP tent together to watch the Pro-riders come in over the finish line. CAN MY CHILDREN COME ON THIS TOUR? We are trying to get as many people on bikes as possible! That is our goal, so we like to start early and have baby seats, trailers, tag-alongs and a tandem in order for this to happen. We encourage all families with children under 17 to select an Easy-Going Bike Tour or Self guided / Customized trips (with perhaps Support vehicle options). By decreasing mileage, using Rail to Trail options, transfers, flatter areas, etc.. we have had good success with families with younger cyclists or not so experienced riders. We recommend that if thinking about Spain, in particular, inland Andalucía, be advised the landscape is extremely hilly and so parents with baby seats, etc.. will need to be very proficient cyclists and avoid the hotter summer months. We sure do! During the booking process we ask about any menu needs, food intolerances, allergies, and just plain dislikes for restaurant meals, picnics, snacks, etc… Once you’ve booked your tour, we pass that information on to alert your guides, hotels and restaurants in advance. 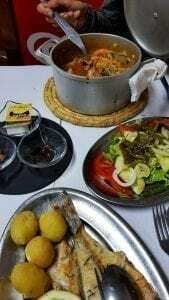 Generally we try to provide a well balance, delicious menu daily with interesting local foods featured. Super! We will be delighted for you to join us! To contact Cycling Country regarding tour bookings, a brochure request or any queries, please fill out this form. You can access our request form by clicking on the “Ask us” button available on every trip page. Alternatively, please feel free to email, phone or write to us: info@cyclingcountry.com or (+34) 958 360 655 (please leave message). Since trip guests arrive from several different places on different flights, times, etc.., trip groups meet at a centrally located meeting point, details of which are provided in each trip itinerary. These meeting points vary from one trip to the next and are selected based on accessibility, guest convenience and trip logistics. Airport transfers are not included and in most cases we recommend arriving a day or two to get caught up on sleep! Detailed meeting instructions are provided with your final trip documents as well. If arriving early, ask us for things to do! DO YOU ACCOMMODATE SINGLE TRAVELLERS? Absolutely, no problem at all. Cycling Country is happy to accommodate individual travellers. We’ll do everything possible to make arrangements easy on you and your wallet. There is a single supplement fee for solo travellers. The Single Supplement is a fee added to the trip price which secures a private room with no roommate for guests who prefer to room alone. If you want your own space, do let us know at time of booking. If you are on a tour where sharing is possible and you would both like to share a room, we will do our best to pair you with a roommate. If a match is available, we will refund you the single supplement, absolutely. WHAT IS A “SINGLE SUPPLEMENT”? The Single Supplement is a fee added to the trip price which secures a private room with no roommate for guests who prefer to room alone. If you want your own space, do let us know at time of booking. Each van is equipped to carry your luggage, bicycles, spares and of course you, giving you the ability to travel in style and comfort when necessary. Although this is a cycling holiday, we have not forgotten about those times when a transfer is unavoidable. WHAT DOCUMENTS SHOULD I EXPECT TO RECEIVE? When a Guided or Self guided trip is booked, a guest confirmation letter is immediately sent out. An itinerary and info sheet will quickly follow which gives the route and hotel information for yourselves and those at home. A week prior to your trip start you will receive an email about our start meeting location, time and any last minute information that you will need to know before your first day. Daily briefings whilst on guided tours are given as well as info guides and daily maps or cue sheets.by the guides, allowing you to ride with complete confidence that day. Self-Guided Cyclists are also provided upon our Set up meeting with an info guide book, all maps, profiles and cue notes for their tour in an easy and readable layout. Payment options will be given in your Balance proforma, but generally we accept Bank Transfers / Transferwise or payment by Credit Card via Paypal, though this option does carry a 3% fee. For most tours, final payment is due 8 weeks before your trip start date. *If you reserve your space under 90 days from your trip’s start date, the full balance of the trip price is due at the time of booking. Please read our Terms and Conditions carefully. We do recommend that upon making a deposit (and any airline tickets) that you invest in a comprehensive Travel Insurance package, just in case.. (knock on wood).. you have to cancel! SHOULD I HAVE TRAVEL / MEDICAL INSURANCE? It is compulsory to have adequate travel & health insurance to cover any medical or travel emergencies you might experience whilst on tour. Please note that if you have an accident on your bike whilst on tour, you are responsible for the bike as well. EU Citizens please ensure that you have adequate coverage and do not rely on the EHIC card (Formerly the E111) as your sole form of insurance. Those relying on insurance provided by credit cards please ensure that there is adequate coverage (and make sure that cycle touring is covered). There are no obligatory health-related requirements, but it is strongly recommended your standard vaccinations such as Tetanus and Polio are up to date. You should contact your doctor at least 3 months prior to travel to obtain any vaccinations needed and a health check to ensure fitness. If you have severe allergies or asthma please carry necessary inhalers or epi-pens and notify us about your condition. We do not stock such items in our first aid kit (this also includes any antihistamines creams, ibuprofen or other medications which you may need or want). If you wish to cancel your bike tour, this must be in writing by the person who signed the booking form and whose name is on the invoice. The following cancellation rates will apply: (i) More than 55 days before departure date: deposit only (ii) 29–55 days before departure date: 50% of holiday price (iii) Less than 28 days before departure date: 100% of holiday price. If you are unable to undertake the holiday due to circumstances that would normally permit you to make a claim on a travel insurance policy, you may transfer the booking to another person. A fee of €50 will be charged, plus any other related costs. Skinny Valise Or Bulging Knapsack ?? The season of your tour will factor into what clothes to pack. Generally light clothing is all that is needed, although for our tours that take in higher altitudes where evenings cool off, there is the need for a fleece, sweater or light jacket. For winter tours we recommend thermal fleeces, leggings, booties etc.. For daytime pedalling at all times of the year, padded cycling shorts are very highly recommended to ensure a …smoother ride! Also padded gloves (track mitts) are for safety and sunburn. Helmets are required on all Guided and Self guided tours of ours. We do rent them if you are not keen on schlepping yours around the world! Don´t forget sunglasses and a high spf factor sun lotion – perspiration resistant, both are a must here. If you use a system of pedal, do bring them along with your shoes and we will fit them on the set up cycle day. That also includes GPS units. Let us know, we will send you on the gpx files on many of our rides. We also have GPS units available to rent as well for Self guided Tours. Generally off the bike, dress code in Portugal, England and Spain is generally smart casual whether day or evening. A detailed list will be provided in your itinerary and info sheet. Trains, Planes And Automobiles As our clients come from all over the globe with different arrival points we try and make the tour start and end points easily accessible by using international airports, bus, and train stations. Please review our Getting Here page or just ask us for any ideas! Our bike tours feature 3 main types of bicycles, ROAD BIKES, HYBRID BIKES AND EBIKES. Here’s how they differ in order to help you consider which bike is right for your tour. 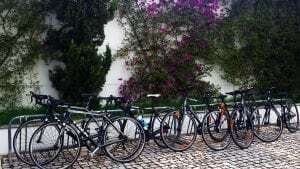 We recommend on all our tours, if you normally ride a Road bike, then choose one for your tour, likewise goes with hybrids, etc.. Road Bikes Road bikes are intended for paved roads, have lightweight frames, curved handlebars and slender tyres for speed. The bike’s geometry is more forward-leaning and head down as opposed to our hybrid bikes. Hybrid Bikes A hybrid bike is a good ride if you prefer a more upright riding position with flat handlebars and often a wider seat. They usually have a heavier frame with low gears for the hills and can be ridden easily on both paved roads as well as hard packed cycle paths. E-Bikes Available on most CC tours, electrical assist bikes gives an extra boost to your own pedal power, so you can ride longer distances, make any climb easier thus allowing the cyclist to keep up with their friends easier. Electric assist is an excellent option if you’re travelling with friends or family and don’t ride at the same level, or if your heart is set on exploring a region with more challenging cycling. They are actually a lot of fun! 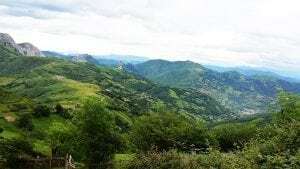 Cycling Country does not offer Mountain Bike Tours or bike hire at this time and all our tours take place on either exclusively asphalted road or a mix with road and Rail to Trail hard packed bike paths. You are more than welcome to bring your own bike, of course! Please note however that we cannot assume responsibility for the safety of or damage to your personal bike whilst on tour. Please make sure your bike should be in excellent maintenance upon arrival and you have any particular spare parts that may be used during the trip (In some cases, particular brands, etc.. might be difficult to source at short notice). As well please assemble your bike upon arrival and disassemble it upon departure, though of course we will help you do this in whatever way we can! There is no trip price difference for bringing your own bike if you are on a guided tour. Ok, we understand if you don´t want to bring your whole bike, but …if you want to bring your favourite saddle or pedals, we will fit them on our first day too. We require helmets to be worn whilst on all our tours, so please bring your own. However, if you don´t have one or can´t fit it in, we will source one for you. In Spain you must wear a helmet by law when travelling along roads and as much as we love a great tour soundtrack… No IPods please whilst on the bike. CAN I BRING MY OWN PEDALS / SADDLE? Not a problem at all. If you are used to riding with clip in pedal systems (SPD / LOOK / TIME, ETC..) we recommend that you bring them and your shoes and we will put them on your bike at the beginning of the tour. If not, all bikes will be fitted with a standard flat pedal with mini plastic toe clips being available as well. We very strongly recommend that riders who plan to bring in clip in pedals have prior experience riding this way before their tour. It is a different riding experience and you should be very used to clipping in and out of your pedals with ease. With Saddles.. a bike trip with a sore bum, is not a pleasant one, and although we do carry a variety to try out, we do recommend that if this is an … issue.. please by all means.. bring your own saddle and we will fit it. 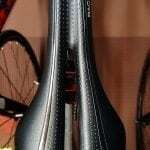 Generally we will fit the saddle rather than seat post as well due to seat post widths being different between models. EU citizens must hold a passport that is still valid for at least six months at the end of the tour. Australians, American, Canadian and New Zealand passport holders can at the moment stay in Spain & Portugal without a visa for a tourist/business stay for up to 90 days. However, holders of non-EU passports are advised to check whether they require a visa for all countries they plan on visiting as restrictions can change quickly and generally that they have at least 6 months left on their passport. Information about our Riding Levels, along with our detailed tour itineraries, provide a good idea of how much and what kind of riding to expect on tour. In general, we recommend you ride as frequently as possible prior to your tour, or take spin classes for indoor training to get comfortable in the saddle. WHAT KIND OF SUPPORT SHOULD I EXPECT ON TOUR? On tour, our guides are always looking out for your comfort and safety. Our guide-driven support van is with you all the time and has in it, water, snacks ,mechanical support and encouragement! Hop in the van at any time, especially if you want a lift up a hill or you are just a bit pooped. We also have an on-road guide helping with directional needs, mechanicals, explanations, and making sure no one is left behind! Off the bike, ask our guides where to get the best paella, where is a local bike shop or what they think of tubeless tyres, they are there to help you understand the landscape you are travelling through and help you any way they can! On self-guided tours, we are only a phone call / email away and will be monitouring your progress through your trip! On our Andalucian trips, you actually pass through our home base town, so pop in and see us! DO I NEED ANY SHOTS - VACCINATIONS? HOW WILL I DO LAUNDRY ON TOUR? Yes, being on a cycle tour leads to a profusion of dirty laundry! Quite often hotels offer a laundry service and in the bigger cities, laundromats can be found. Ask your tour guide or us if you need more specifics. HOW DO I MAKE PRE OR POST TOUR RESERVATIONS? Our tours start at designated spots (generally hotels) of which you will be informed of in your itinerary. If you wish extra nights at your pre-tour hotel or your post tour hotel, just let us know and we will check availability and price. If you do book with us (and there is no obligation to) then this will be added to your balance proforma to be paid prior arrival. ARE TIPS INCLUDED IN MY TOUR PRICE? Our rule of thumb is that if you are happy with a service whether it be housekeeping to taxis, then leave a tip. Should you tip your Cycling Country guides? We get this question a lot, and it’s a good one! Gratuities for your tour guide are not included in the tour price. Our guides are paid an industry standard wage for this job but they do accept tips, and we can say that they are greatly appreciated, and go a long way towards helping make cycle tour guiding a feasible career choice. However, we don’t want to pressure our clients, and the following should be regarded as a guideline in case you’re looking for an idea. Ultimately, as in many service industries, tipping is left up to the individual, but as a general practice, 5 to 10% of the trip cost (to be divided between the team) is a common gratuity in this industry. If you prefer to give individually, please do so discreetly. Tipping Generally – in restaurants, generally most Spanish or Portuguese roundup the bill from a snack or drinks but wouldn’t necessarily make a point of calculating the 10-15% that you may be accustomed to. For a meal or taxi it is more common to tip the usual amount of 10%. For those on city walking tours we suggest a couple Euros per person.